Have you seen the new SyFy TV series Warehouse 13? My husband and I are big fans, not only of the show, but of it's oh-so-cool steampunk graphics and props. I'm wanting to design a steampunk skin for my Mac, so I've been out searching for gears, watch parts, etc. Of course, I could make my own. This Vlad Studio tutorial on making watch parts is just amazing. However, being short on time and basically lazy, I've beensearching for some pre-made items. A search for gears at stock.xchng brought up these images by Craig Jewell. and these awesome Steampunk machine brushes at from necrosensual_art at deviantART. Finally, to round out my supplies, I've added Jen Ulasiewicz's Old Clock Works kit from Scrapbookgraphics. It's not free, but at only $2.60, it's a good investment for my Steampunk project. So, what have I missed? Do you know of any good resources for someone wanting to replicate a steampunk look? Have you yourself done some art featuring gears and goodies? If so, link us up. I admit it. I am addicted to Photoshop tutorials. And nothing makes me happier than finding a new tutorial on ways to handle text. Here are ten of my favorites. I'm really excited about one of Adobe's newest projects, an online word processor called Buzzword. Buzzword is web-based. That means the document you are editing is not stored on your personal computer, but rather, on secure servers. 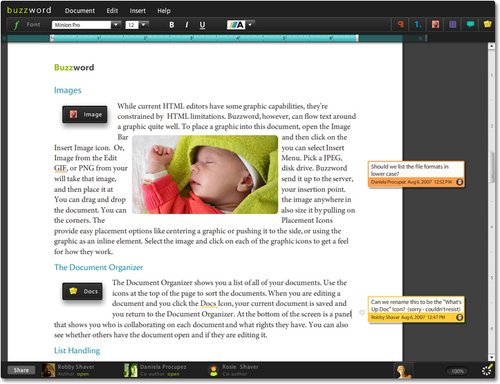 You can access your document from any computer, anywhere. And, this is the beautiful part, it's designed so that you can easily share these documents with editors, other designers and artists, and friends and family. It's ideal for collaborations -- you can work together with others to create, comment on, revise and publish your documents, without the need to e-mail back and forth. And the artist in me loves how easily you can insert pictures of your work. What an ideal way to share ideas for articles, books, and exhibits. To use Buzzword, simply go to www.buzzword.com and click "Sign Up" to open your free Buzzword account. Just four more days till Christmas. The presents are bought and wrapped, but my house is a mess and I still have lots of baking to do. So what am I doing? Working on a new art project, of course. Kathryn Balint just released the Little Jake collection, and I couldn't wait to begin a new art journal using it. If you like vintage, be sure to check it out. In addition to the beautiful floral papers and elements shown below, the collection also includes a vintage alpha, an amazing torn journal, and a set of stamps. For this week's Fun Friday Freebies, I've been searching the web for holiday fonts. Here are some of my favorites. Feeling a little Scrooge-like? 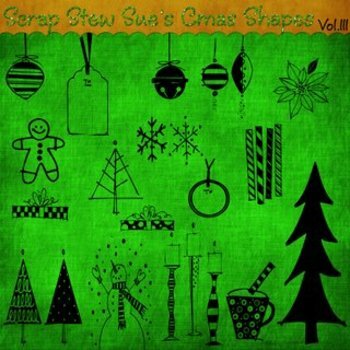 Check out Grinched by SharkShock. St. Nicholas by Scriptorium is a little more traditional. Here's a great font that can be used year-round, Holiday Leftovers by Font Diner. Two Peas is offering Gift, a festive little font perfect for titling. And, finally, for those who are crying "Bah, humbug," here's Christmas on Crack from Font Garden. You're the crafty one in your family. That means your gifts, your tree, your packaging are expected to be a little special. Use these templates, and you'll be getting oohs and aahs with a minimum amount of effort. If you've bought gift cards, be sure to check out the Scrapbookgraphics blog, Studio Matters, for a free template to make these beautiful gift card holders. Designed by my buddy, Karen Maggie, they're easy-to-do, and oh so elegant. Mirkwood Designs offers dozens of templates for everything from envelopes to boxes to wine glass shades. 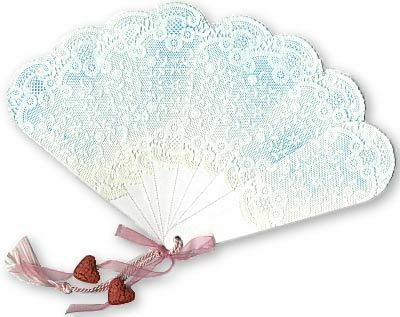 There's even a template for an old-fashioned fan. Wouldn't this look great on a package wrapped in Victorian papers? If you're feeling crafty, be sure to check out Stampington and Company's Tempting Template page. 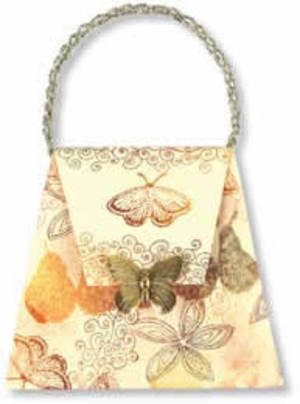 Wouldn't this purse, designed by Holly Tondre, make a beautiful gift for a young girl? And, I'll end with a special site, indeed. It just wouldn't be Christmas, if you didn't visit the Toymaker. This is simply one of my favorite sites of all time. Designer Marilyn Scott-Waters has created a magical place, filled with art and papercrafts ready for downloading. Perfect for children, and for the children in all of us, these projects are ready to be cut out and assembled. It doesn't get much easier than that. 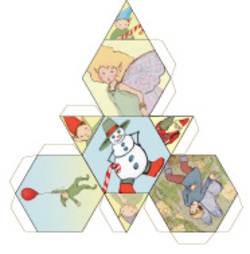 Click here for the Christmas templates. Have you missed the Fun Friday Freebies? I'm afraid I've been a very bad blogger. Between a nasty virus, the Thanksgiving holiday, and a week-long trip to Disney World, I haven't had a whole lot of time at the computer. So let's see what's new freebies are out there for digital artists. Seishido has a fun little Christmas surprise for those looking for new brushes. She has an advent calendar with a new gift each day. Click on the box that says "Surprise, Surprise, Surprise" and you'll be taken to the calendar. Click on the current date, and you'll find free brushes to download. Be sure to check back each day because the brushes are only available for 24 hours. Scrap Stew Sue is offering a set of 17 ornament shapes on her blog. Aren't they cute? Be sure to check out her free diamond snowflakes while you're there. Bittbox is offering five new rock textures that are just plain cool. Here's one of my favorites. 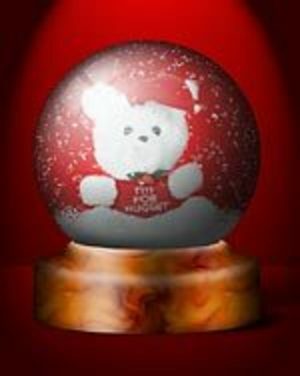 And, just for the holidays, here's a tutorial on how to create a digital snowglobe. It's from Graphics Soft. Here's the finished product. So you'd like to try your hand at digital collage, but you need some basic materials to get started. You're looking for old photos, old manuscripts, and yes, some old junk that you can use to create your collage. Here are some of my favorite places to find ephemera. My first stop is always Art E-Zine, a British zine for "everyone that's interested in playing and having fun with paper, paints, inks and stamps, and any other exciting mediums." 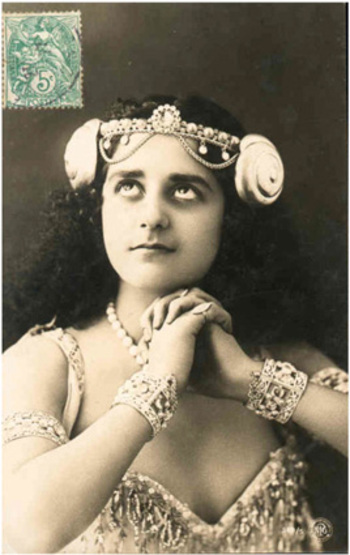 On their resource page, you'll find vintage pictures of children, women, geisha and cowboys. You'll also find old clippings, newspapers and documents. Make a very reasonable donation of $10 and you'll receive a link to even more gorgeous photos and ephemera. 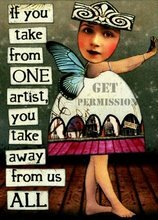 Outside the Margins is an online art store that specializes in materials for the altered artist. Click on the Freebies Images button and you'll find dozens of pieces of great ephemera. Another great resources is Liam's Pictures from Old Books, a collection of over 2,015 high-resolution images scanned from more than 100 different old books, with extracts from the books. The site has a wonderful search engine, which is a good thing. Otherwise, you'd be like me, spending hours jumping from book to book. 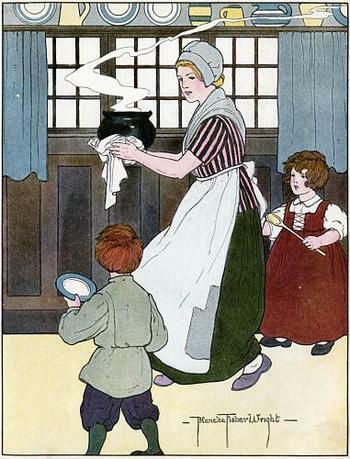 Pease Porridge Hot from Liam's Pictures from Old Books. Do you have a favorite site for old pictures or ephemera that's not listed? Please leave us a link in the comment section, so that we can all learn from each other. Once you've mastered the basics of Photoshop, you may want to start playing with paths and vector-based art. 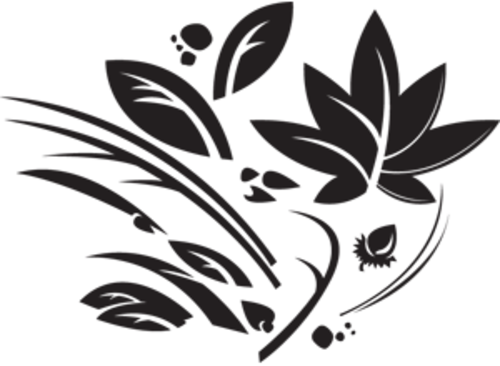 There are several sites I frequent that off free vector-based art. Because vectors are created using mathematical formulas rather than pixels, the quality of the images is much greater. 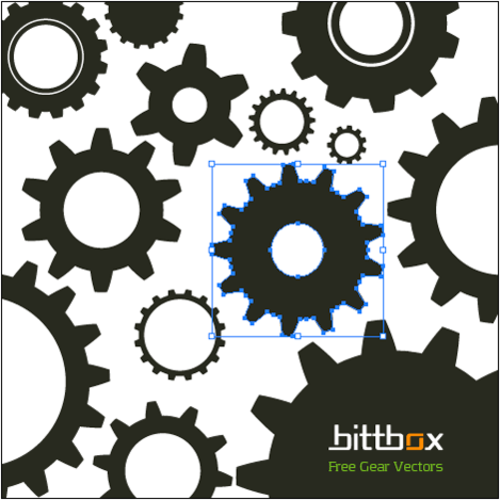 Bittbox offers a wide range of vector art, everything from watercolors to flowers to gears. The site often offers accompanying packages of brushes to match the art. Vecteezy is a fun site, billing itself as "stupid name, cool vectors." If you're looking for variety, this should be your first stop. Because the work on this site is submitted by designers from all over, you'll find tons of different subjects and styles. I'm getting ready to dowload T. Scott Stromberg's Leafy Pod, myself. If you're interested in creating your own vector art, be sure to check out Melissa Clifton's tutorial or the index of tutorials at Vexels. I'm that crazy lady you see at the park taking pictures of tree bark, or lying on the driveway taking pictures of asphalt. I love texture. When I go shopping, I have to touch everything I see (shades of Monk here). If I love a sweater, but hate the texture, I won't buy it. Conversely, I've actually bought things that don't look all that hot just because of the way they feel. I guess that's why I got so excited when I discovered all the cool places on the Internet that offer free textures to use in digital design. Some of these textures, I'll use just as they are. Other times, I'll desaturate a texture photo, and use Photoshop's blending tools to add a more tactile feel to a piece of art. One of my favorite sites is devoted strictly to textures. Mayang's Free Texture Library has more than 3,400 free-to-download, free-to-use textures. You can download up to 20 textures a day at no charge, or purchase a DVD with every single texture for $50. Rock photo from Texture King. 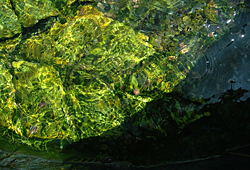 And, don't forget to check out some of the free stock photo sites for textures. I particularly like Pixel Perfect Digital (1,748 textures) and stock.xchng (1.000 textures). If all of this motivates you to photograph your own texture shots, Tyler Wanlass has a great PDF tutorial with all kinds of wonderful tips. Or, if you'd like to create your own textures without ever leaving Photoshop, check out Vered's Fake Real Texture tutorial. Poor Photoshop users! Let's face it, the manual that comes with the program just isn't that good. And, the help interface built into Photoshop is often clumsy and hard-to-use. Oh, they covers the basics, but what's a user to do when they're ready to move beyond fixing a photo and positioning it on a page? That's where free Photoshop tutorials come in. There are lots of them out there, but here are a few of my favorite sites. I am so lucky that I got to attend a session of Burt Monroy's recent Photoshop Creativity Tour. Wow! Talk about a Photoshop guru. He's done everything -- huge murals, advertisements, even Hollywood work. And, he's very generous with his knowledge. His site, Burt Monroy: digital photo-realist artist is fun to explore, but be sure to check out the tutorials in the middle column of the first page: both the Podcasts and Tech TV tutorials are awesome. Burt Monroy's Damen, created entirely in Photoshop. EScrappers is another great site to find both basic and advanced Photoshop Techniques. Hosted by Denis Germain, the site covers everything from filters to puppy portraits. Have you ever picked up a copy of Layers magazine at the newstand? If you have, you know that Layers, targeted to graphic designers, is informative and oh-so-cool. They've recently put tons of video tutorials on line, and you don't have to be a subscriber to enjoy them. You can check them out here. Did I miss one of your favorite tutorial sites? If I did, please leave us a link so that we can all learn and expore together.